When it comes to an accurate portrayal of Australian mortgage brokers, it seems the mainstream media have been watching too many movies. The Adviser contacted John Hempton, the Sydney-based chief investment officer of Bronte Capital who, together with economist Jonathan Tepper, has been all over the media this week claiming brokers are encouraging customers to “get things around the banks” and that we are in a property bubble. Mr Hempton declined to be interviewed. However, I felt it critical to respond to this week’s mainstream media coverage of mortgage brokers. For those who haven’t read Wednesday’s piece in the Australian Financial Review, titled ‘Uncovering the big Aussie short’, the article details how Mr Hempton and Mr Tepper posed as a gay couple on a modest income looking for a home loan in Sydney’s outer suburbs. The AFR reported that “mortgage brokers were advising them to lie on loan application documents about the deposit for a house and about income”. Apparently they visited 20 brokers. “Australia is now one of the biggest housing bubbles in history,” Mr Tepper told the AFR. Yesterday, the AFR ran responses from the banks, who defended their verification processes. In the same article the AFR smugly reported that "shares in bank stocks fell 2.8 per cent to 3.9 per cent after The Australian Financial Review reported Wednesday that economist Jonathan Tepper and hedge fund manager John Hempton are shorting the housing market, which they believe is in a historic bubble". So two guys who stand to gain a buck out of a property crash are now telling Australians that the mortgage market is based on fraud and we are in a bubble. Naturally. In an opinion piece also published yesterday, the AFR’s Tony Boyd calls for broker commissions to be revisited, making the ridiculous statement that “Mortgage broking is one of the last bastions of unethical sales practices” and that “there are incentives to sign up customers and encourage them to pay as much as possible for a property". “The hedge fund guys who uncovered serious weaknesses in the commission-driven mortgage broking business that underpins the residential mortgage market have done the country a positive service,” Mr Boyd wrote. “For some reason, mortgage brokers have escaped the efforts of regulators to clean up the financial services industry." 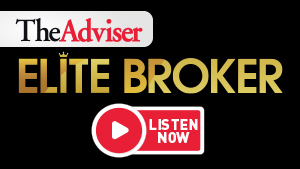 To tar a whole industry on the back of a couple of doomsayers who spoke to 20 brokers – none of whom have been named, by the way – is frankly absurd. This type of reporting is imbalanced and spreads unnecessary fear among Australians who benefit from the education and service that mortgage brokers provide. Regulation of the mortgage industry is already on the rise, property prices in Sydney and Melbourne are reaching their natural peaks, negative gearing is on the political playing field and the Australian economy is in need of a fresh growth injection. I know The Big Short is an entertaining film with many valuable lessons, but when the mainstream media try and feed both off it and the hysteria of the pre-GFC US housing market, it simply becomes irresponsible. Something tells me the guys behind this hysteria have a book to sell.